See photo gallery for current and past litters. 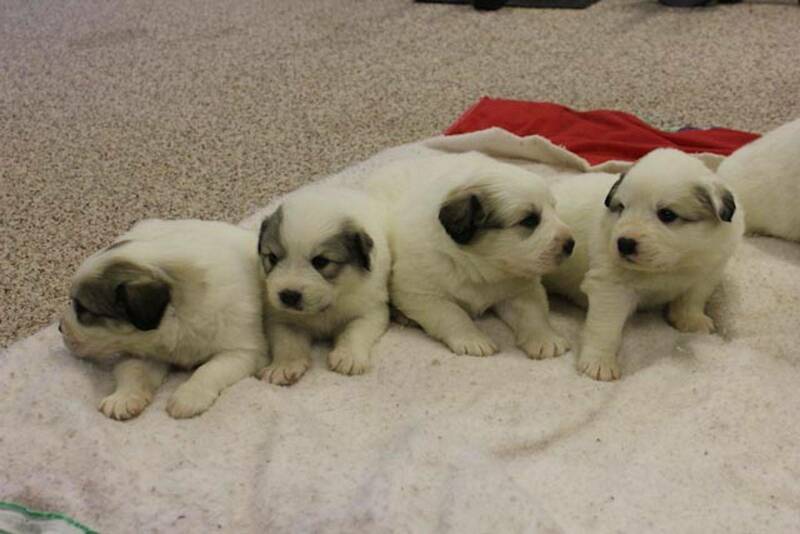 Please contact us to inquire about Great Pyrenees puppies. New pups born in February 2019, ready to go mid-April! unimproved property. Through the following years, we brought the land from wilderness to a lovely family farm. The first livestock on Pony Trail Farm was a pair of ponies named Princess and Bo. These were soon joined by three Quarter Horses and some poultry. 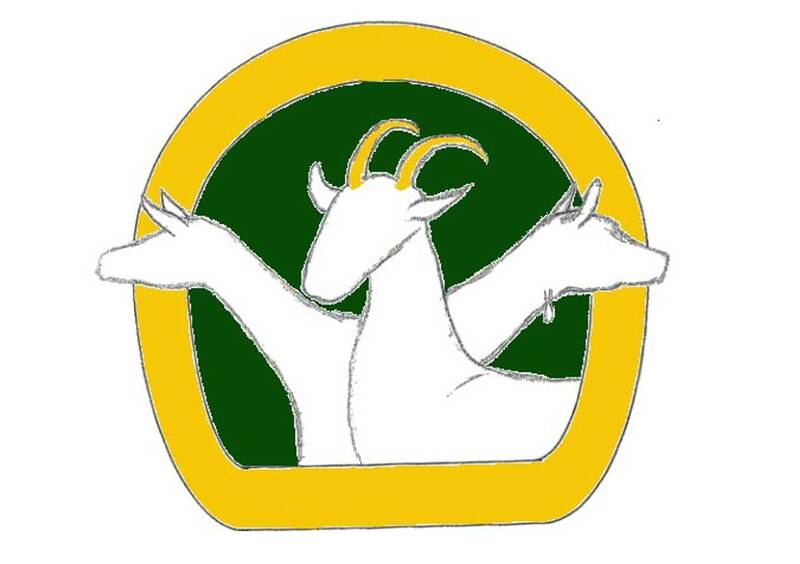 In 1999 we purchased the foundation stock for our Saanen dairy goat herd from Rock Point Farms. 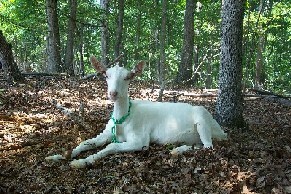 We knew at the time that we wanted disease-free stock, but we did not know anything about dairy goat bloodlines. We accidentally stumbled onto some of the best genetics in the Saanen breed, and have learned to love these beautiful, quiet and productive animals. From our original three Saanen does, we built a herd of about 50 animals, and cut back until we reached our current number of thirteen keepers, and three for sale. We have become very active in the dairy goat industry in our state and on a national level as well. Our herd is Certified, Accredited, and tests negative for CAE. We have been Scrapie Certified since November 30, 2005. 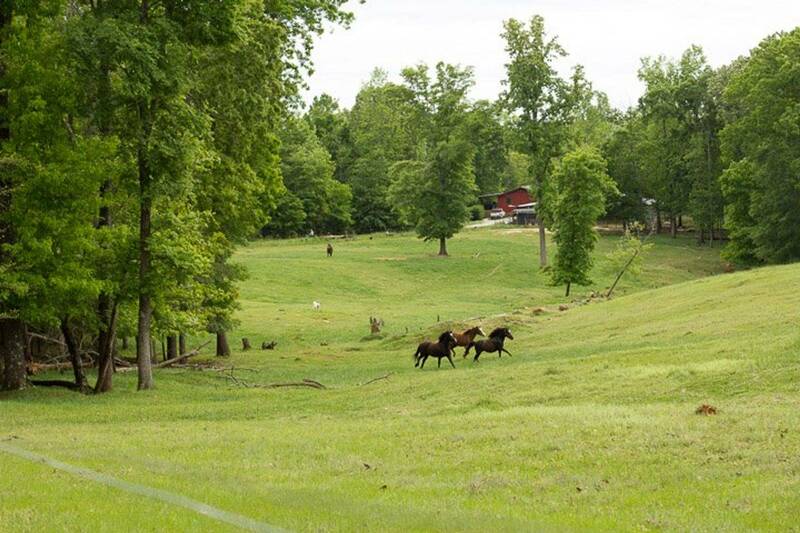 We show our animals throughout the Southeast and have developed a very competitive herd. We participate in DHI testing and Linear Appraisal and have been pleased with the performance of our animals. When we purchased our first goats, we also bought a pair of Great Pyrenees livestock guardian dogs to protect our herd. Today the farm bustles with activity. Several Welsh ponies have replaced Princess and Bo. The goats get better each year, and pay for their feed through show wins. The Pyrenees run back and forth in the pasture, always on the watch for predators. Children run back and forth caring for the animals and playing in the expansive yard. Allow yourself to relax and enjoy the experience of farm life as you view each page of our site.